It is very difficult to predict Aquarius women. They always want to look upon things the way they want it to be and try to work on it. They can never be influenced by others ideas. Though they do not agree with others they are refined enough to have an open mind to others views and ideas. They would want to lead the life they wanted to. They are vision and mission minded people and always want propagate it among others. When it comes to family they are very caring. They always want to be respected and so are they. They never keep cribbing about things but instead try to take steps to overcome it. They are aggressively self-assured and strong by nature. Though it is very difficult for these women to get friendship but once formed it remains strong for ever. They respect friendship and are very loyal to them. 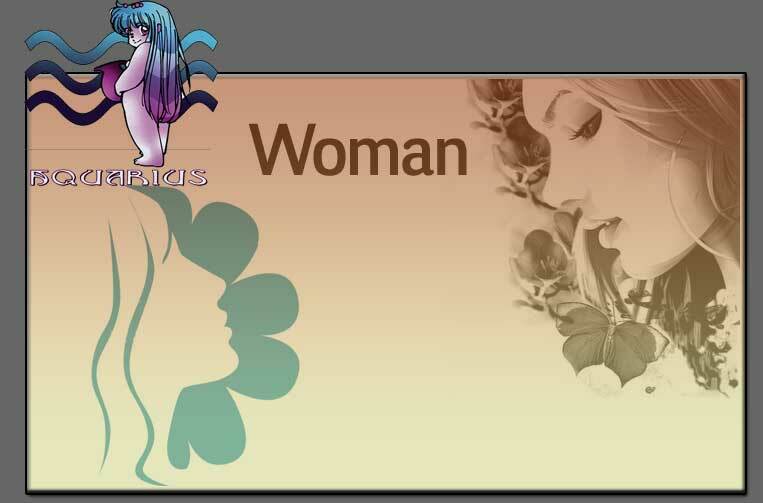 Aquarius women are more into spiritualism and meditation. But they are not stable in groups for if they think that's enough it is very easy for them to come out of it without any regrets. They are hardworking and move in a slower rate for they will want to do thorough study before and after getting into it.